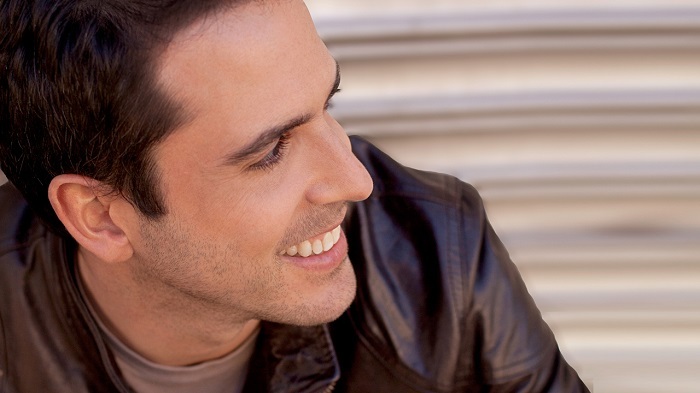 Scott Alan: "My Music Comes From A Place Of Being OK With Not Being OK"
Musical theatre star Scott Alan will return to the stage of Brasserie Zedel for the first time in over a year, when he performs in the debut of his show, The Journey: My Story Through Music. His one man musical tackles themes of depression, mental health, sexuality and sexual abuse in an honest and unedited fashion. The award-winning songwriter tells his own story through over a dozen new and established songs. The Journey charts the writer’s story through sexual awakening and battles with physical and mental health. Using his piano, voice and spontaneous sense of humour, Scott cuts through difficult stories with a musical note of unsentimental levity and empathy. We caught up with him to ask him about the new musical and how his mental health has affected his work and life. Some of your songs have been triggered by personal events, for example, your first “successful” song Kiss The Air three days which you wrote days after your parents separated. Has there been anything this year which has caused to immediately set to writing? The biggest change in my life was the passing of my dog, Billy Lucas Alan. We had been together for 14 1/2 years and to not have him in my life has left a huge empty paw print in my home. His death really pushed forward a lot of the new songs that are in The Journey but if I had the choice between him and the new material, I’d give back the songs. You have an honest and refreshing approaching to your art form in that you’ve written songs and spoken about your clinical depression before and talked about how you see your music as therapy. How much do you feel the ups and downs of your mental health influences your life as a professional artist? Have changes in medication affected your songwriting style or output? I always say that I’m who I am today because of being diagnosed as clinically depressed during my teen years. My music comes from a place of being OK with not being OK. When I wrote Anything Worth Holding on To and saw the instant reaction to the words, I knew that sharing my life openly was the way I wanted to move forward. Thankfully, my medication hasn’t had a huge impact on my songwriting. I think it did at the beginning but I’m writing a lot lately, so seems to be a-OK.
You’ve been away from the stage for over a year and now you’re back with another personal show The Journey: My Story Through Music at Live At Zedel. Can you tell us more about how this show came about and what led to you writing it? I started working on the show back in 2012. I wasn’t sure that I was wanting to work on another album of new material and so I started to sit down at my computer and think ofwhat may be next for me. It started as a simple song cycle and has expanded into anything but that. If you could send a message to your 20-year-old self, would you do it in words or through a song you have written? And what would you say? Always in a song. I’m horrible with words when not being written in front of music. As for writing to my 20-year-old self, I would say “keep doing what you’re doing.” At that age, I was heading off to Los Angeles to try a new adventure. Though I regret not graduating from college, I am proud of always being up for something new. I don’t worry too much about tomorrow. I tend to just live in the moment and I think that was the age when I really began that. What advice would you hand on to other artists living with similar or related illnesses? I just had a friend ask about antidepressants and fearing that they would make them no longer feel. As an artist, being numb to the world is scary but I think living in sadness is scarier. My advice would be to keep trying medications until you find the right one and the proper dose. It can take some time, so don’t get discouraged. If you need medication in your system, there is nothing wrong with asking for help. Life is short as is. Why continue to live it scared, alone and sad? This has been a hell of a year in terms of celebrity deaths. Of the songwriters and musicians that have passes away over the last twelve months, which of those affected you the most? Though he passed away prior and wasn’t a songwriter, the one I took the hardest was Robin Williams. I think anyone who suffers from depression understood where he was coming from but knowing how much of a mask he wore to make others happy when he was so self aware of his own demons, really hit home. Do you ever wonder about your legacy? Have you made any plans to preserve your work for future generations (for example, donating personal items like notebooks to a musical theatre museum)? I think of my legacy too much. I hope that what I leave behind is children and a family. Outside of that, the world can take whatever they want of mine once I’m dead. You’ve worked around the world with a phenomenal number of high profile artists. Artistically, is there anything left in your bucket list? Oh, absolutely. So many artists still to work with. The moment you stop dreaming, you might as well be dead. Scott Alan will be at Brasserie Zedel until Sunday 8 January. More information can be found on the official website.